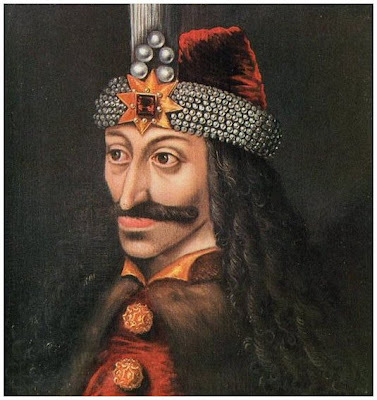 A painting of Vlad Tepes. 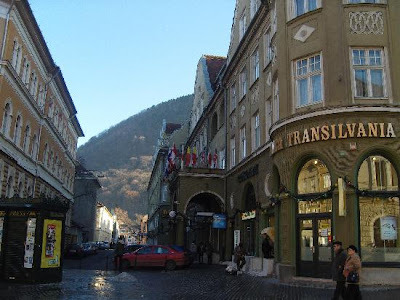 These two pictures represent the city of Brasov, one where Vlad Tepes is most identified with, along with Kronstadt it is there that according to German writers he did the majority of his killings of Saxons. 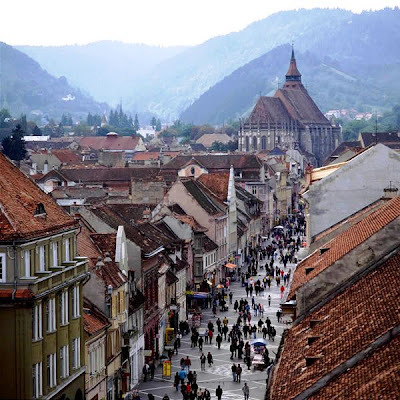 The above two pictures are of Brasov. These days the city is busy enough, and has few reminders of its past, and yet so many people know about a place where he wasn't identified with Bistritz. Thank you Mr. Bram Stoker. Over the next few days there will be a guest blogger to this site, and I'll be guest blogging about Transylvania on hers, so be prepared. If anyone else would like to guest blog feel free to send me an email.